These 1 HP interchangeable spindle precision tool post grinders are designed for internal and external grinding on lathes with 20" or larger swing. 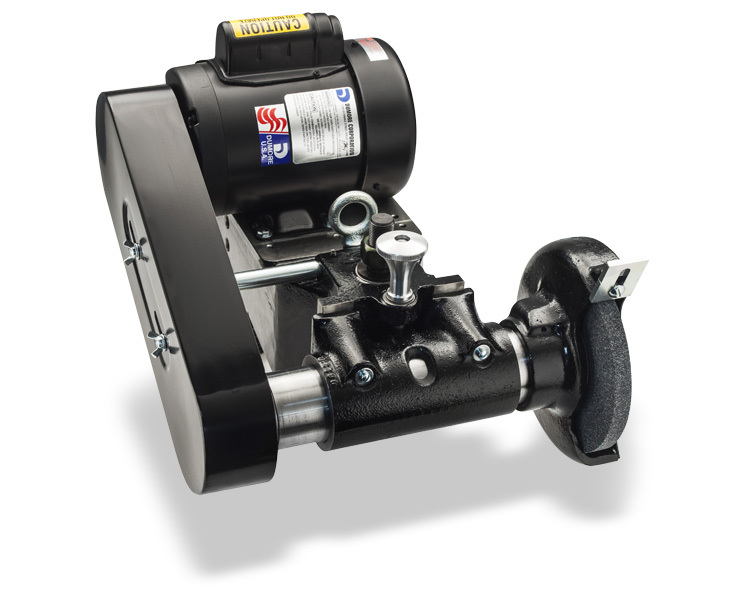 A rugged induction motor, operating at 3,450 rpm, powers the Series 12 tool post grinders, with a series of belts and pulleys converting that to a choice of five spindle speeds. Select either the 115/230VAC single phase or 220/440VAC 3-phase motor option. Additional features include a heavy duty frame, ensuring rigid, vibration-free operation under heavy load, and a vertical height screw for fast centering. Depending on the spindle selected, Dumore Series 12 interchangeable tool post grinders are capable of external grinding with up to 8" diameter grinding wheels, and internal grinding up to 5" diameter grinding wheels and 18" depth.